Disclosure: I’m an early investor & advisor (marketing & growth) to NoFiatCoin – my perspective may be slightly biased & optimistic, but I will try my best to convey the information in the most factual way possible. 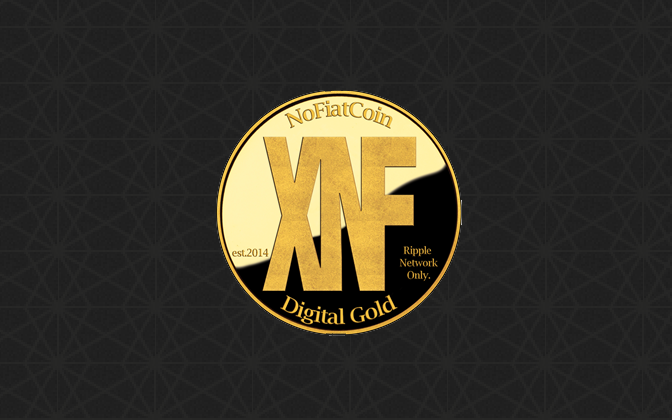 NoFiatCoin (XNF) is a very interesting (potentially disruptive) new crypto currency built on top of the the Ripple network. What makes XNF different is that it’s actually backed by precious metals – gold & silver bullion – and you can redeem your XNF for bullion at any time. The minimum amount for redeeming your XNF into bullion is around $825, but the redemption amount slides as the price of gold / silver does. The total amount of NoFiatCoins that will ever exist is 25 million, and around 30% of the XNF in circulation is backed by gold & silver (in a secure vault). The first interesting problem that XNF solves is one that bitcoin faces everyday – people have a problem with the notion that crypto currencies are “backed by nothing”. While this is technically true, and not a great argument against bitcoin (dollars are the same), there is still a huge segment of the population that would like their currency to be backed by something. It may seem like an obvious idea to have a crypto currency backed by something physical (like gold), but executing that vision is not as easy as it sounds. The team behind XNF have domain expertise in the precious metals industry, and have access to purchase and store large quantities of metals in their existing infrastructure without much extra overhead. This, mixed with a deep understanding of cryptocurrencies, gave the team the technical and physical ability to execute this unique vision. The way I see XNF today is something similar to “gold in the cloud”, or digital gold. One use-case where I see XNF being particularly useful is the following: You purchase $100,000 USD worth of gold, but its very hard to store and move this quantity of physical gold safely and securely. In addition, if you don’t have the proper security infrastructure, you would likely need to trust a centralized authority to keep your gold secure. With XNF, you can walk into a random participating exchange in Alabama, buy $100k worth of gold with USD, transfer it into XNF, fly to Australia, walk into an exchange, and seamlessly trade your XNF back into gold bullion. The only way someone can steal your gold in XNF is with the private keys to your ripple account, and long as you use a secure password (30+ characters, non dictionary), you should be more than safe. Also, with a large network of exchanges accepting & working with XNF, it would probably be safer to store your gold in XNF than in a vault because vaults have a single point of failure – a break in. With XNF, if exchange #1 runs out of gold, or gets robbed, you can simply redeem your XNF at another exchange that didn’t get robbed. With NoFiatCoin, your gold becomes exchange agnostic. If NoFiatCoin gains mass adoption it may also be used to back other physical assets too. Since XNF itself is backed by gold, forward thinking lenders bullish on gold shouldn’t have a problem accepting it as collateral / payment. Essentially, NoFiatCoin is the first decentralized digital currency, backed by gold. To me, that concept sounds extremely interesting, and is something I haven’t seen yet in the crypto ecosystem. To get started buying / selling / trading NoFiatCoin, you first need to create an active Ripple account. The above address is the ripple address for the official XNF exchange. Next, you’ll want to navigate to the “Trade” tab, select the same address that you just trusted, and you should be ready to purchase XNF through the Ripple network. I’m really excited about the future of NoFiatCoin, it’s truly unique and can’t wait to see what’s next. If you have any questions about XNF, how it works or how to buy it, feel free to Contact Me. I really like this one – it seems different. I ran into similar problems, double check all the info you’re entering is correct. 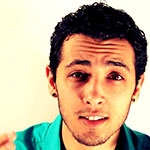 If you run into issues feel free to jump back to these comments, I can help you out. How long does it take to get the gold by mail? Are there physical gold shops i can go to and pick up gold for this coin yet? I think it takes a few weeks – but they have details on their website: http://nofiatcoin.com (new design, really cool!). I’m also not sure about the physical stores, it’s still pretty early for that.